You can also try out the shooter during an open beta from May 5-9. The wait is almost over for Overwatch, Blizzard's first original game in some time. The shooter will hit PC, Xbox One, and PlayStation 4 on May 24, the company announced today. Additionally, you'll be able to get your feet wet during an open beta from May 5 through May 9. Those who preorder the game will also be able to get an early start on the beta on May 3. Multiplayer shooters are fairly common these days, but it'll be interesting to see how Blizzard, a company best known for MMORPGs and strategy games, approaches the genre. 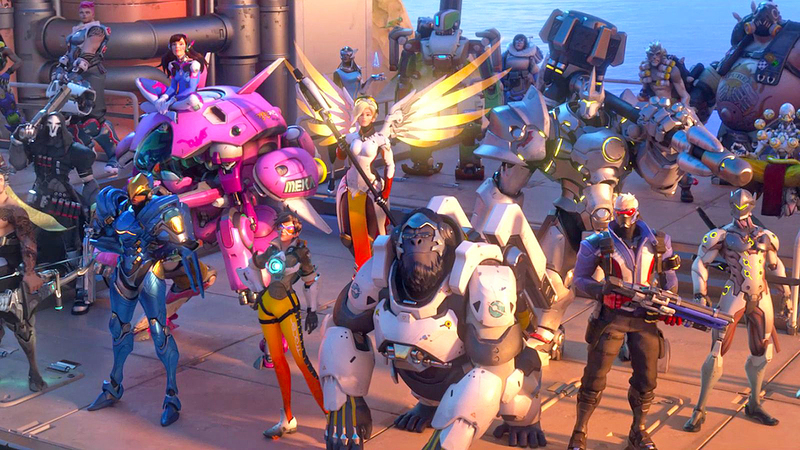 Based on what we've seen so far, Overwatch's gameplay is frenetic, giving you control of 21 different heroes with different skills. This isn't some stroll through Destiny's Crucible. Blizzard also revealed two new editions of the game today. PC players can snag the base version for $40 -- which doesn't include some of the skins and other "digital goodies" buyers of the $60 "Origins Edition" will get -- and the "Collector's Edition" for all platforms will retail for around $130. The latter will come with a Soldier: 76 statue, art book and soundtrack.